Do you want to engage as many visitors as possible in your business meeting? Do you need to showcase all bullet points of your business event in the most shockingly gorgeous way? 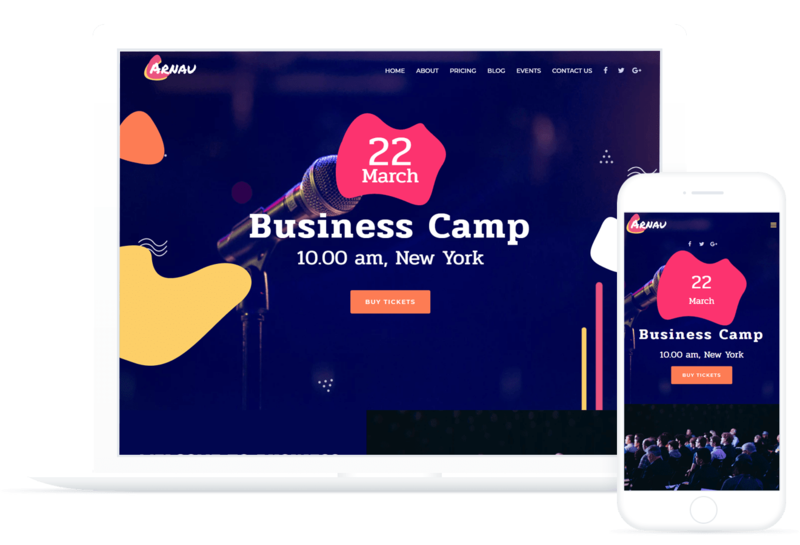 Arnau Business Events skin for Elementor page builder will help you inform people about upcoming events in a convenient and intriguing form. This skin has a flamboyant appearance and rich functionality. You will gather an interested audience for your business meeting in the blink of an eye!